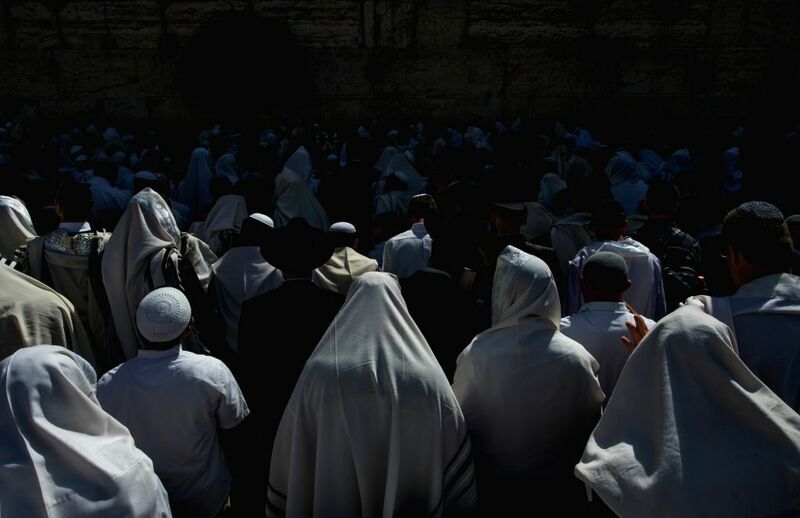 JERUSALEM, April 18, 2014 - Jews pray at the Western Wall in the Old City of Jerusalem, on April 17, 2014. Passover is an important Biblically-derived Jewish festival celebrated from April 14 to April 21 this year. The Jewish people celebrate Passover as a commemoration of their liberation over 3,300 years ago by God from slavery in ancient Egypt that was ruled by the Pharaohs, and their freedom as a nation under the leadership of Moses. It commemorates the story of the Exodus as described in the Hebrew Bible especially in the Book of Exodus, in which the Israelites were freed from slavery in Egypt.